There’s no doubt about it, if you’ve lived in Canada for most of your life, you’ve probably experienced one of our treacherous winters that feel like they will never end. For times like these, proper tires for your vehicle are more important than ever. While some people try and get by on all season tires, it’s definitely not something we would ever recommend. When the weather starts getting chilly and the snow starts to fall, make sure your vehicle is equipped with winter tires that can handle whatever mother nature sends your way. It’s inescapable: once the weather starts to dip below 7°C, you owe it to yourself and to your fellow drivers to install a set of winter tires. Winter tires are designed to deliver improved handling stability and better breaking in the chilly weather. In fact, winter tires are crafted from an entirely different compound than all seasons – one that does not stiffen in the cold. With tires that are more flexible, you’re going to be better prepared to navigate and will be able to slow down and stop 30% to 40% faster in driving conditions that may otherwise prove challenging. Suffice it to say, if you live in a location that experiences the typical Canadian winter between November and March, winter tires are the safest bet for you and your family. Your local Signature Tire is the best place for you to find the right winter tires for you, as they carry a wide assortment of brands, including Michelin, GT Radial, Bridgestone, Firestone, Cooper, BEGoodrich, Yokohama, General, Continental, and more. Winter tires are manufactured differently than other tires. This is what helps them to perform more effectively out on the road in the cold weather. When snow tires were first introduced, they had very deep treads that were beneficial for traversing snow. The treads are especially important for winter tires, as they work to cut through the thin layer of water on top of ice on roads and keep the tire in contact with the surface. As winter tires have evolved, they are now better equipped than ever to deal with ice, hard packed snow, and even cold or wet pavement. This evolution is the reason that they are sometimes referred to as cold weather tires. Today, winter tires are designed with a number of different rubber compounds to help them remain flexible when the temperature drops. What’s more, many also contain silica or crushed walnut shells (yes, you read that correctly) to ensure a better grip. These components combine to enhance traction and flexibility, helping the tire to stick to the road when faced with driving in inclement weather. If the benefit of having a safe and secure vehicle isn’t enough to sway you on winter tires, you may be interested to learn that many insurance companies often offer reduced rates to drivers that have them installed. 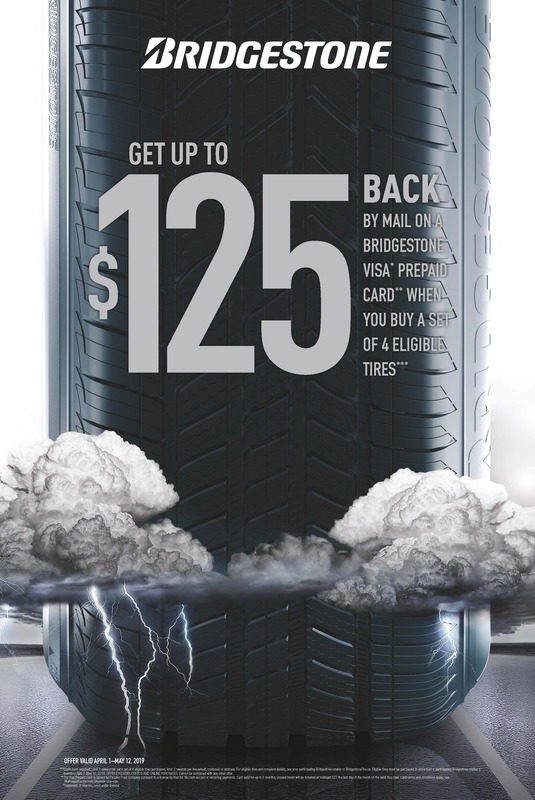 In Quebec, winter tires are mandatory from December 15th and March 15th. Since this law has been in place, Quebec has seen a 17% reduction in winter collisions and a 36% reduction in road accidents resulting in serious injury or death. The figures prove it: winter tires can save lives. Which Winter Tires Are Right For You? As with all tires, you’re going to find a number of economy options, as well as premium choices. In general, premium options can offer up to 15% better traction control, which can make all the difference on a winter day. Additionally, it’s generally recommended that your winter tires should be narrower than your summer or all season tires. In fact, automotive experts like the ones at your local Signature Tire will often recommend going down two sizes in winter tires. To put that into perspective, if you drive on tires that are 215mm in the summer, you’ll want a set that are 205mm or 195mm in the winter. One final thing to note, when you buy your winter tires it is in your best interest to purchase in sets of four. This will help prevent your vehicle from “spinning out,” which is common when only two tires are providing you with enhanced traction and control. When you’re ready to prepare your vehicle for winter, Signature Tire has you covered. Head to your local Signature Tire today and find the perfect winter tires for your vehicle.